Goal or goals in your life ? 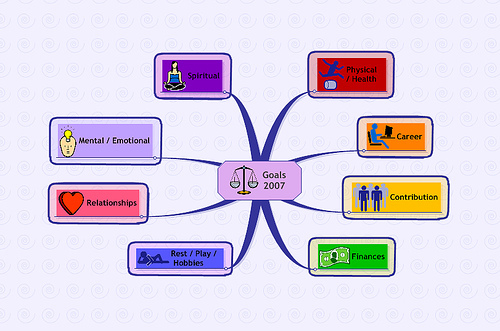 Recently, I was answering to a question of a member of the LinkedIn network, about goals. The question was “Do you have your goal in your life ?”. Interesting subject we could think about during all our life ! On the other side, I have to note that my blog seems to know a good success with an article I posted few months ago, named “Stay focused on your goal”, which seems to be very appreciated, by the number of visits this posting get everyday. These two things are bringing some motivation to me, and I would like to go further on this subject, starting by what I was evoking in my answer on LinkedIn. To define a goal is not an easy exercise. As I was mentioning on my previous posting, we are sometimes more focused on the constraints, on blocking points linked to our goal, scaring us to go straight to the point. There is few points which seems to me fundamental and which could help us to go to our goals. When we talk about goal, it rings the project dimension. To have a goal means to have a project, and so, you are considering your life as a project. If you have a project, you are living, if not, you are just existing. And what about your goal ?..or I would say ..your goals? “That goal which seems to be unreachable, is it for me ?” you are probably thinking. Well, before to finish something, it is sometime better to start it. If you want to build a house, you will first build the walls, then the roof, then the electricity, etc. Such project contains a range of steps. Before to want to reach your final goal, define first different steps and intermediary goals you want or you have to achieve, and measure the improvement you are doing on each of these steps. To talk about the present blog, I do not know if one day, I would be able to earn money by producing articles or editorials. But I defined several short terms goals, small challenges, like to produce an article once a week, to see an increase of visits on a monthly basis. By reaching such goals, by measuring improvements, you are bringing motivation to you, having a feeling of wellness when your goal is reached. You can see who you are and where you are. By proceeding steps by steps, you will probably learn a lot of things, discover new things that will bring you new ideas, and probably that your final goal will be a bit different from the previous one. This show us that it is more easy to define a short term goal than a long term goal. Our actions are based on the experience of the past and on the anticipation of the future, but also leaded by some interactions with our environment. To give you another example in the writing area, you will probably think to write a book, which is a huge exercise and you are not sure to reach the goal, and some times later, you discover the blog sphere, and you write articles on a regular basis. Well, you probably do not reach yet your goal to write a book, but you reach another one which is to write first, and to develop a blog. As conclusion, I would say that to have a goal means to have a project, a project which is a range of small projects. These small projects create a dynamic which is part of our self development and improvement process. And if the long term goals are not defined precisely, we can say that you define a trend of your life, and that with a self development dynamic, by wanting to move things forward, you will be further than today, you will have more control and more trust on you, and as consequences, you will probably come back to initial goals. But the goal you will probably reach by acting like this and which is the most important, is to enjoy your life. How to motivate the senior blue collars. In a lot of european countries, the population pyramid is getting old, and in the next year, this phenomenon will be a challenge in many areas, for the retirement pensions payments, but also for the manpower in the business and the industry. Some companies are noticing such trend in the measure of the average age of their manpower. Some of then are really concerned by such problem, and they do not wait it is too late to think about the problem and to find innovative solutions. It is the case of BMW, the german automotive manufacturer. This company launched a pilot project in her bavarian manufactory of Dingolfing, a project called “Heute für morgen” (today for tomorrow). This project includes a team of 38 fifty-years-olds workers, who are all working in a assembly line of differentials. Following the company, the average age of the workers will increase from 41,4 to 46,4 years old between 2008 and 2018. This ageing population is a real problem for an assembly line where the work is repetitive and painful. In order to prevent the problems which the manufactories will have to face to, BMW made a proposal of setting up a full health statement and to define with person practicing natural medicines, the physical risks linked to each job. The workers were invited too to give their opinions and to make suggestions, even very simple and cheap for the company, but which represented real improvements for the work conditions. For instance, a worker is explaining that the concrete floor was replaced by a wooden floor, and after this change, he had less pains in the legs. The infrastructure was also adapted, the control screens were putted down, and the size of the characters was enlarged, which show a more readable information. Some job shifts were also organized, in order to offer various tasks to the workers during a day. A physiotherapist is coaching the team once a month, by answering to the question and advising each worker. This is a benefit for all the workers, the seniors and the juniors too. 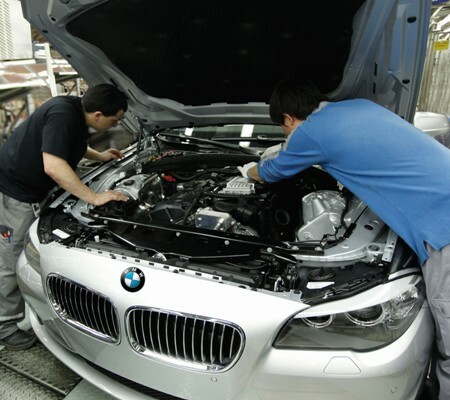 The results of such project are positive, as BMW noticed an productivity increase of 7%. A result gained with simple and cheaper adaptations, as the program represented an investment of around 20.000 euros, which is peanuts for such business. This example of project is an evidence that each worker can find a place and bring real added value in a company. With an innovative and integrated human resources policy, you can improve the condition of each worker, increase his wellness and his motivation, and increase the productivity of your company. This project created a win-win environment, producing positive effects on a long term basis. In ten minutes, ten months, ten years. Recently, I was reading in the Bizz magazine, an interview of Inge Smidts, vice president go to market of the telecom company Telenet. In that interview, she talks among other things about priorities. Each of us, we have to manage everyday some priorities. My intention in this paper is not to make a presentation or a training about priority management. There are specialists who can handle this kind of subject better than me. You probably already know that most of the time, we are making confusion between urgent and important. What is urgent is not necessarily important, and something important is not necessarily urgent, if you planned it correctly. The notion of priority is a subjective thing because it is linked sometimes to the value we are assigning to things. Another point is to determine which is the perimeter in which we are defining our priorities. It is obvious we spend most of our time to work, and to manage our priorities in our professional life, but each of us, we have a personal life which is the combination of our professional and private life. This is one of the best priority rule I have ridden until now ! Low cost and quality service compatible ? 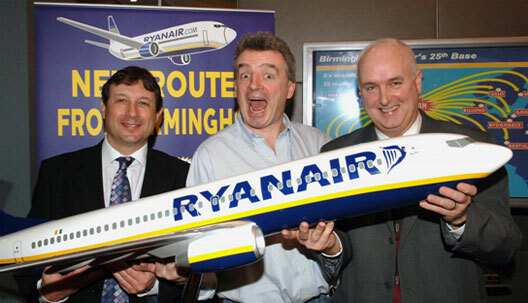 The Irish airways company Ryanair is the number one of low cost airways companies. This company knew a successful development thanks to her very attractive prices policy. But is this low price really a good deal ? Most of the time, people are only looking for the price level, what it is understandable if your budget is not extensible, but what about behind this ? Most of the time, this airway company is operating on airports where airport taxes are lower, and often, these airport are far from the main cities. You have to take a train, or a taxi, it will take you time to join your final destination. Maybe sometime, it will be still shipper than if you take an ordinary airway company. Anyway ! But what about your luggages if they are lost ? Most of the time, in such companies, they have no insurances, and if your luggages are not found again, it is a pure loss for you, and in this case, your travel will be much more expensive. But recently, this company announced her intention to make travel people standing up. When I heard about this, I was thinking it was a joke ! First of all, it is not comfortable at all, and second point, I am not sure it is very efficient in terms of security. What would happen if the flight is crossing an air pocket ? Most of the time, in such situation, you are asked to fast your seat belt. When will they attach also people to the wings ? Few weeks ago, this company had also a brilliant idea. The CEO of the company, the fiery Michael O’Leary, was thinking to ask a fee (£1 which is a good return for the beneficiary) to use the toilets in the planes, and also to suppress some toilets in order to have only one toilet on board ! You will probably say that you have not to do a MBA to have such innovative ideas, but when you plan such innovations, I am wondering which consideration you still have for your customers. The company Boeing answered to that wonderful idea that they will not change anything in the installation of the planes for security reasons. 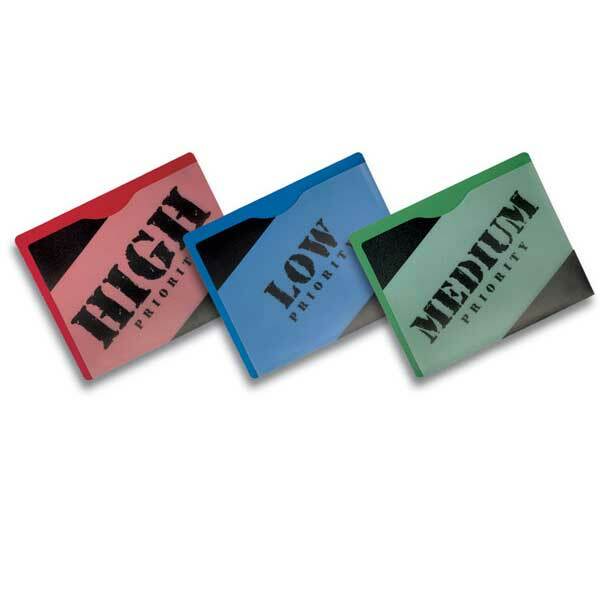 On ordinary flights, you ticket will probably more expensive, but just have a look on the counterpart you will have. You will have a meal, you will be sure that there are toilets on board and that you will not be asked to pay for it. And for your luggage, you will be sure that you will have an indemnity if they are lost. Your flight ticket is more expensive, because you have a service, and each service has a cost. It is understandable that airways companies are focusing on they margins as in each business, but they have to be customer oriented too. For me, for such low cost companies, they are not customer focused at all. They think they are, because they are arguing on the low price level, but what bout the service, the comfort and the security ? A member of my family traveled in a low cost company airplane, and told me that a transport of pigs would have been more comfortable, and the price for a drink would be probably shipper in a luxurious hotel. The plane was not very clean too ! Personally, I am not confident to take such plane, where finally, the customer is only considered as a good to be transported, a company receiving some government aid, which means money from your pocket, a company who has not a lot of consideration for his manpower and the social legislation, which could present a danger in such activity. When a company is pushing such logic to the extremes, I am wondering what about the maintenance of the planes and the security. We have to know that each good, each service has a cost. There is always a level under which you have to doubt about the quality of the service, the conditions included in such services. People who have to deliver the services need to be paid, and normally, a company can not make sales with losses. So, if a service seems to be competitive because a very low price, it is maybe because they is no good quality service or no services at all. Personally, when I have to take a plane, for business or for holidays, I am always considering that my trip has to be done with good conditions, and my trip begins when I am closing the door of my office or from my home. The lower price is not for me an positive argument to take such option, to the detriment of the comfort and the security. Consider that your live and the respect you are entitled to have, has much more value than the price difference you would gain.